Want to go the extra mile to deepen your yoga practice and expand your health and fitness regime? Don’t look further than our yoga retreat classes in Seven Hills, Kingslanley, Baulkham Hills, Blacktown and several other regions of Sydney. According to several research studies, spending quality time in nature can help you recover from stress, restore mental clarity, alleviate mental fatigue, increase the sense of wellbeing and improve physical health and performance. Kriya Yoga Studio invites you to enjoy some amazing yoga in some of the serene and exquisite locations in Sydney. With a proper mix of meditation and a variety of yoga styles, the retreat will not only focus on your physical and mental wellbeing but will also be a fun-filled and fulfilling experience. Join our yoga retreat classes in Seven Hills, Kingslanley, Baulkham Hills, Blacktown and Sydney, to experience the healing power of nature. Our yoga retreat classes are based on the principle of finding the right balance within to create a perfect balance in the world around us. We offer the right mix of leisure and activity. 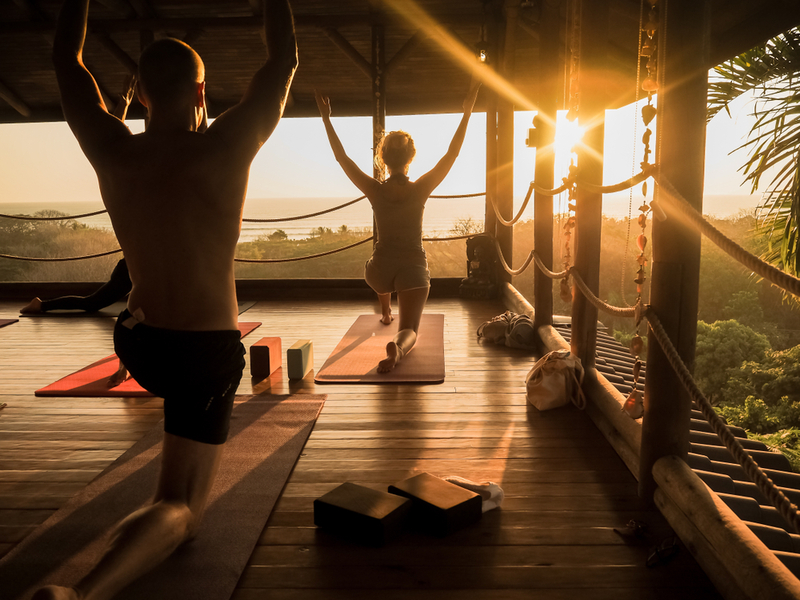 Our expert trainers will help you to immerse yourself in the natural sounds and ambiance of the exquisite locations and at the same time, detox your stress through yoga and meditation. Our yoga retreat classes are tailored to help you connect with your energetic core and find harmony with your body. The highly effective and immensely powerful healing energy emanating from the tranquil and exquisite locations will make you feel that you are a million miles away from your busy and hectic day-to-day life. Our yoga and meditation sessions at some of the most tranquil locations in Sydney will help you to unwind and re-energize. We will help you to connect with the raw power of nature at our yoga retreat classes. Our highly experienced yoga retreat teachers us the best techniques and combines meditation and pranayama with a variety of yoga styles, including Yin Yoga, Restorative Yoga, Slow Flow, Vinyasa Yoga, and Kriya Hatha Yoga. Our yoga retreat classes are all about immersing yourself in the peace and tranquility of nature and healing your mind and body through the power of yoga and meditation. By the end of the yoga retreat, you will feel more energetic, peaceful, refreshed, focused and prepared to take on the challenges that life throws at you. At Kriya Yoga Studio, we offer several yoga retreat packages – from overnight, one-day and full weeks. We choose the most exquisite, tranquil, peaceful and Eco-friendly locations all over Sydney and overseas. Our team does everything possible to make sure that the yoga retreat experience leaves you feeling inspired, relaxed and healthy. We welcome everyone – from beginners and advanced practitioners to men and women of all ages to join our yoga retreat classes in Seven Hills, Kingslanley, Baulkham Hills, Black town, and Sydney. Are ready to escape the busy city lifestyle for a few days? Want to know more about our yoga retreat packages? Contact our team today.